Review your local fishing regulations with your leader or adult partner. Explain why they are important, and commit to following them. Demonstrate how to properly bait a hook. Try to catch a fish. Compete in a pack or community fishing tournament. Demonstrate how to clean a fish. Prepare a report on three different kinds of fish. Include information on preferred habitats, feeding habits, and recommended fishing techniques, baits, and equipment needed to catch it. Draw a picture of three different types of fishing reels. Explain how each works. Tie three fishing flies. Use at least one to fish. Demonstrate proficiency in casting at a target 30 feet away. Select a species of fish and draw a picture of it, correctly labeling each part and its function. Replace the line in a fishing reel. Make a simple pole and line fishing rig. Use it to catch a fish. Catch a fish using artificial bait or lures. 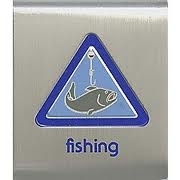 Practice fishing on five occasions, complying with local fishing regulations and the Outdoor Code.